Mike became the director of BSSC in 2012, after four years as a research scientist at the VA Puget Sound in Seattle and five years as a faculty member at Montana State University in Bozeman. He received a B.S. from Colorado Mesa University in 1996, an M.S. from Iowa State University in 2000, and a Ph.D. from the University of Oregon in 2003. His research interest focuses on the ability of humans to adapt to physical challenges. Using biomechanics and physiology measures, this interest includes the response to increased workload and sport training paradigms, motor learning, musculoskeletal dynamics and the interface between biological and artificial control systems. In his spare time, Mike enjoys cultivating his vineyard and exploring the natural beauty of Oregon. Alia joined the BSSC in Fall 2018 as a Research Associate after completing her Ph.D. in Human Physiology at the University of Oregon. Her primary research focus as a doctoral student was in the neurophysiological recovery from concussion. Alia is originally from Salem, Oregon and enjoys biking, hiking, and hanging out with her cats. Evan joined the BSSC in 2015. He grew up in Minnesota and attended Iowa State University for his B.S. and M.S, and also enjoyed a semester abroad at the University of Otago in Dunedin, New Zealand. His dissertation research is focused on investigating methods to improve distance running performance via intrinsic and extrinsic changes in forefoot function. In his free time he is an assistant coach at Emerald Valley Track Club for cross country and track and field, enjoys training as a distance runner, and being in the outdoors. Originally from Moscow, ID, Mike joined the BSSC in 2016 after completing a M.S. degree at the University of Oregon in the Sensorimotor Physiology Lab with Dr. Brian Dalton. He also completed a B.A. 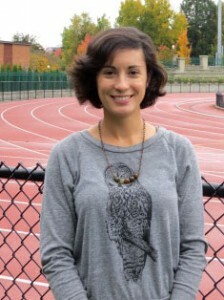 degree in Exercise Science at Willamette University in 2012. His research interests include human standing balance control and gait neuromechanics. In his free time he likes biking, skiing, surfing, and other outdoor activities. O joined the BSSC in the Fall of 2017 as a doctoral student. She is originally from Missouri and did her B.A at UCLA followed by a M.S in Sports Medicine/Injury Studies at Cal State Long Beach. Her past research experiences are in the field of sports medicine orthopedics. 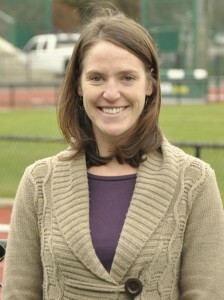 Her current research interests are the biomechanics of athletic performance in various sports such as track and soccer. In her free time she enjoys spending time with family and friends. Seth joined the BSSC in 2017 as a doctoral student after completing a M.S. in Health and Human Performance at the University of Montana. He also completed a B.A. degree in Mathematics with emphases in Applied Mathematics and Statistics from the University of Montana. His research interests include gait classification for the prosthetic foot of trans-tibial amputees. He is from Kalispell, Montana, and in his free time he enjoys fishing, hiking, and checking out the microbrews of Oregon. 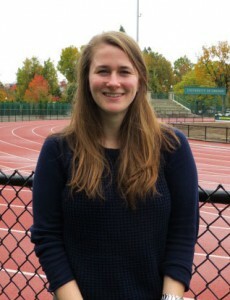 Katie joined the BSSC in 2018 after completing a M.S. degree in Exercise Science from Appalachian State University. She earned her B.S. degree in Exercise Science from High Point University while also competing in track and cross country. 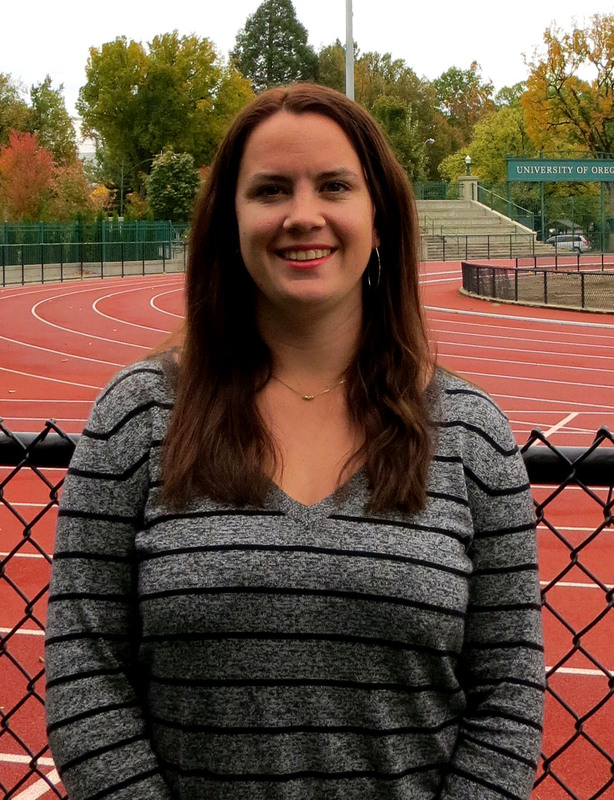 Her research interests include the biomechanics and physiology of running. Originally from Charlottesville, VA, she enjoys running, hiking, and playing with dogs. Originally from the Bay Area, Olivia is a senior majoring in Human Physiology and minoring in Chemistry. She joined the BSSC in the Autumn of 2017 as an undergraduate research assistant. Having taken an interest in orthopedics and sports medicine, she plans to pursue medicine and serve underrepresented communities as a future physician. Outside of academics, she enjoys spending time with friends, bouldering, reading, and all things running related. Originally from Fort Morgan, CO, Joey is a third year student in Human Physiology. He joined the BSSC in the spring of 2017 due to his interest in biomechanics and physiology, especially in regard to running. 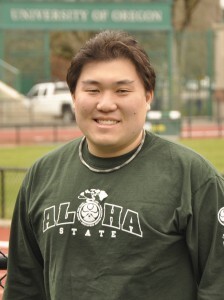 He currently assists with projects conducted by Evan Day and Pac-12 data collection. After graduating, he plans on attending medical school and/or continuing research with the ultimate goal of being a doctor and coach. In addition to academics, he enjoys long distance running, playing the guitar, and spending time with friends. Originally from San Diego, Bri is a senior, majoring in Human Physiology and minoring in Business. She joined the BSSC is fall of 2018 as an undergraduate research assistant due to her interest in gait classification for the prosthetic foot. She currently assists with projects conducted by Seth Donahue. After graduating she plans on taking time off to travel and then begin a career in nursing. In her free time, she enjoys spending time with friends, running and spending time outdoors. Originally from Los Angeles, Mackenzie is a senior majoring in Human Physiology and minoring in Chemistry. She joined the BSSC in the Spring of 2018 as an undergraduate research assistant. Having taken an interest in sports medicine since high school, she plans to pursue physical therapy, hopefully in the near future. Outside of academics, she enjoys spending time with friends, family, and having Netflix marathons. Originally from Southern California, Marissa joined the BSSC in April of 2015 as a research assistant/staff physiologist. Marissa received her B.S. in Kinesiology in 2012 and her M.S. in Exercise Physiology in 2014 from San Diego State University. Through out her time at SDSU, her research experience was focused around sports nutrition and exercise performance. Her thesis project focused on intermittent carbohydrate consumption on basketball shooting performance and she has a publication within the field of exercise physiology. In her spare time she lives an active lifestyle exploring Oregon and spending time with her husband and their golden retriever. Marissa is now a Professional Research Assistant in the Integrative Physiology Department at the University of Colorado, Boulder. Li Jin joined BSSC in the fall of 2012 from China, where he received his B.S. in kinesiology from Shanghai University of Sport. Before he came here, he has also participated in research projects focused on the design of basketball shoes for Nike Inc. Li received M.S. degree in Human Physiology in 2014 at University of Oregon. Li’s master project research at the BSSC is focusing on the effect of prosthetic foot stiffness and damping effect on its energy storage and return, as well as the uninvolved limb knee loading. His current dissertation work is focusing on lower extremity joint stiffness, energy generation and transfer in treadmill walking and running. In his spare time he is a basketball and football fan, you can also find him doing work out at gym and outdoor hiking. Li is now pursuing a Post Doctoral Fellowship at the University of Iowa. Yashushi joined the BSSC as a visiting scholar from the University of Tsukuba in Japan from January to March of 2018. Originally from South Korea, Sungwoo joined us at the BSSC in September of 2015 as an exchange research scholar. Before working at BSSC, he worked as a Post-Doctoral researcher at an HTS athletic performance Lab at Kokmin University and as a kinesiology researcher at Hanyang University in Seoul. He received a B.S. in Physical Education from Hanyang University in 2007, M.S. in Sports Medicine in 2009 and Ph.D. in Sports Medicine in 2013 from Korea National Sport University. His research has been focused on injury prevention in training and proprioceptive function of the shoulder in overthrowing athletes, integrating his interests in neuromuscular function and motor control related to injury prevention and strength & conditioning for athletes. In his spare time, he likes to spend time with his wife and 2 daughters and play basketball and baseball. Sungwoo is now the Director of Training Division at XION Performance Center in Seoul, South Korea. Jake joined the BSSC in 2013 as a doctoral student in Human Physiology after receiving an M.S. in Kinesiology from Cal Poly, San Luis Obispo where he focused on neuromechanics of jump landings. In addition to his role as the BSSC administrator and clinician, his dissertation work is using a split-belt treadmill to explore the neural mechanisms behind adaptation to asymmetric gait from a biomechanical and motor control perspective. In his spare time he enjoys being outdoors and active, caring too much about sports, and enjoying the many beer selections of Eugene. Jake is now a faculty member at California State University, Northridge in Southern California. Bryson worked as a graduate student and clinic assistant at the BSSC from 2012-2016, where he earned his Ph.D. Previously, Bryson earned a B.S. degree in Exercise Science from the University of Puget Sound. His dissertation work was focused on mapping muscle activation patterns of able bodied and amputee subjects during level-ground gait, stair descent/ascent, and ramp descent/ascent. This information will be utilized in the future to help develop state controllers for powered prostheses. He now works in the front office with the Milwaukee Brewers, using his sports science expertise to maximize performance and limit injury in Major League Baseball players. Originally from Metro Detroit, Shannon graduated with her B.S. in Movement Science with a minor in Biological Anthropology from the University of Michigan in 2013, and joined the BSSC in 2014 to pursue her M.S. While here, Shannon’s thesis research investigated acute biomechanical adaptations to an ankle-foot orthosis, as a way to simulate ankle fusion surgery. This information can be used to inform physicians and surgeons, who perform these procedures to eliminate the painful symptoms of ankle arthritis. She has now working in industry with Adidas in Portland, OR, using her training to develop and test footwear and other exercise apparel. Elise has been at the BSSC since its opening after working with Dr. Hahn at the VA Puget Sound in Seattle as a research technician. While with us, she ran the majority of the exercise performance and body composition tests. An avid outdoor enthusiast and athlete herself, Elise enjoyed helping other athletes evaluate and reach their performance goals through the services offered at the clinic. In 2017, she completed her M.S. in Dr. Chris Minson’s lab with the Human Physiology department at UO. Originally from Seattle, WA, Kelly graduated with her B.A. in Exercise Science from Willamette University in 2012. She also recently graduated from the University of Oregon with a Master’s of Science degree while working here at the BSSC. Kelly’s research involved the evaluation of unexpectedly stopping gait and proxy measures for a complete cessation of walking. Following graduation, Kelly moved to San Antonio, Texas to work as a lab technician at the Center for the Intrepid with her husband and dog, Roman. 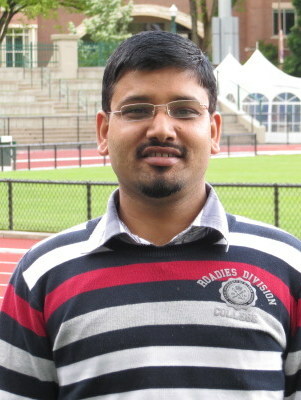 Deepak was the first post doctorate at the BSSC. Before leaving us in the fall of 2014 he worked on algorithm design for neural control of lower limb prostheses, which included real-time embedded system development. At present, he is actively involved in teaching and research as an Assistant Professor at Indian Institute for Technology Dehli. He continues to collaborate with the BSSC for the design and development of neural controlled prostheses. After Michelle completed her work helping build the BSSC laboratory, implementing the biomechanical running protocols, and conducting research on foot stiffness characteristics at the BSSC, she embarked on a lifelong dream of living nomadically and chasing snowstorms in pursuit of her recreational passion: snowboarding. Since the completion of her nomadic season, she has been pursuing a variety of possibilities to transform her career that are ranging from university lecturer, completing a PhD in biomechanics, and/or a complete departure from her current experiences in a brand new and unknown field.